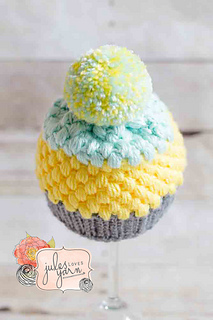 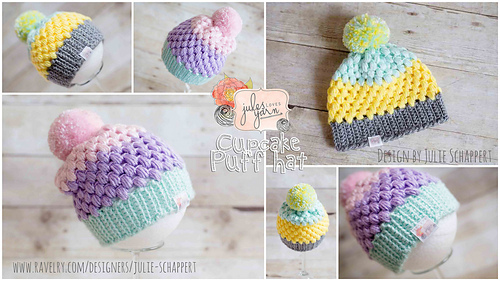 A dear friend of mine wanted a hat that looked like a cupcake for a baby gift, so after some playing with textures and colors, the Cupcake Puff Hat was born! 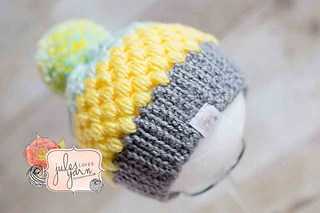 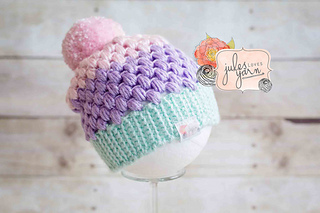 This hat is a super sweet, super soft little beanie that is adorable for babies, toddlers and children alike! 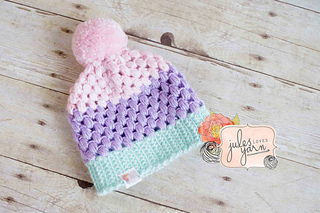 Different color pallets will give the hat a whole new look. 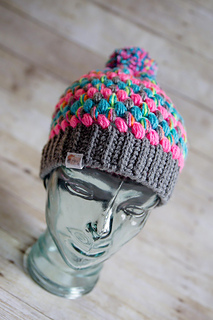 You can use any #4 Worsted yarn for this project, but in my opinion, the soft yarns are SO much nicer. 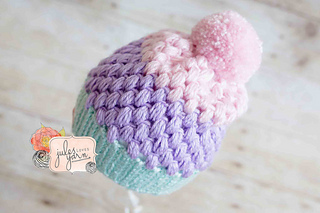 You will end up with a coarser, more rigid hat (possibly larger) otherwise. 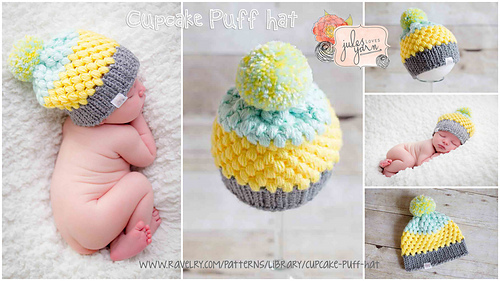 Note: that the puffs are a bit of a yarn eater! 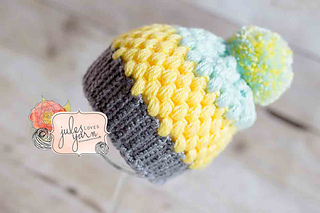 I have also included a quick tutorial on how to make your own labels/tags (separate download from the pattern).